Anthony Child, alongside Regis, is well-known for his tensile and steely techno, and has been one of the defining artists of the Birmingham scene. 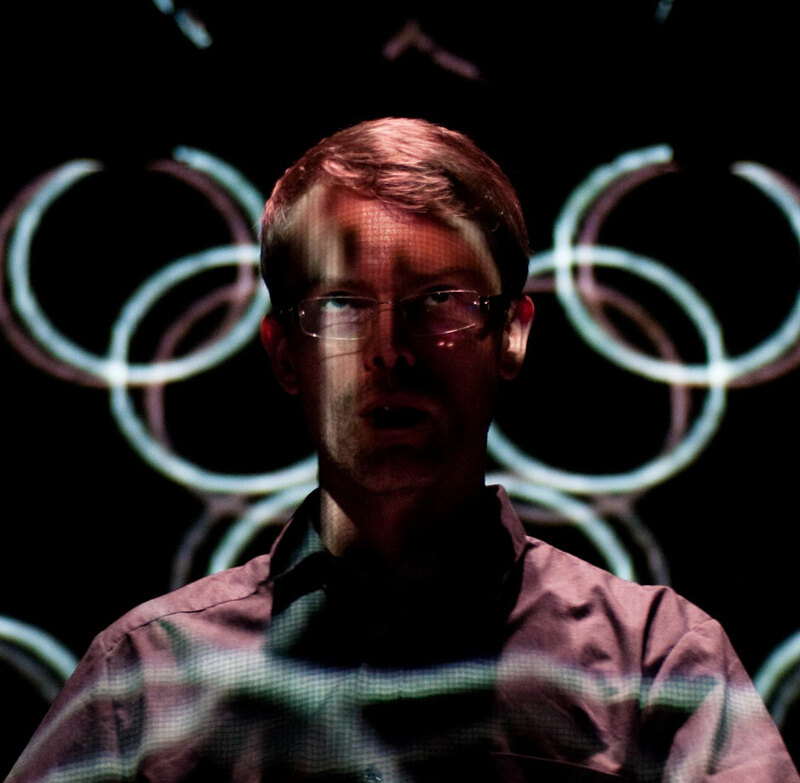 While a slew of ‘noise’ artists are currently engaging with techno, Child schools them at their own game, dropping his LP of archival experimental sounds. Surgeon’s career may be well into its second decade, but it shows no signs of slowing down. Like his long-term running mate Karl O’Connor—aka Regis, who we recently spoke to for the 20th anniversary of his Downwards label—it’s fair to say that Anthony Child is as relevant to electronic music now as he has been at any point in the past 20 years. Whether defining the sound of Birmingham techno in the mid-90s, re-writing the electronic album rulebook with a series of brilliant LPs at the turn of the millennium, or antagonizing crowds with Regis as British Murder Boys in the early 2000s, Child’s output has never ceased to fascinate and inspire. Recently, Child has become involved with a fresh generation of British producers, many of them inspired by his older work as Surgeon and BMB, culminating in a storming collaboration with the young Blawan as Trade. In a neatly symmetrical turn, Child and O’Connor last year re-formed British Murder Boys, and appear to have bold plans for the project. Child’s latest LP The Space Between People and Things represents yet another flanking maneuver. Finding a home on NNA Tapes—better known for releasing the likes of Oneohtrix Point Never and Laurel Halo—it appears under Child’s own name, and features a selection of non-techno productions created over the last 16 years; its muted field recordings and ghostly drones are executed with a characteristic subtlety and technical panache. The record feels timely, given the current cross-talk between techno and noise/experimental music, such as Prurient‘s Vatican Shadow project or Pete Swanon’s latest output. But Child, lest we forget, was there first, having produced abstract tape music as far back as the mid-80s—some of which saw release as the Boys, School Showers & Swimming Pools 7” on Downwards in 2000—predating even his work in techno. Angus Finlayson caught up with Child for a wide-ranging chat, taking in romanticism, physicality, and British Murder Boys’ multi-sensory new direction. So, how has the new album been received? Well I find it odd when people refer to it as a new album, because it’s a collection of much older music—stuff that I’ve had for years and years. Presumably when you were making these tracks, then, you weren’t really expecting them to be released. Is that something you do a lot? Yeah, definitely, with the more abstract work. I just make that for myself really. So this [album] collects my favorites of the stuff I’ve done like that over the years. I’m glad it’s found a home eventually. It’s very meditative music for me. It’s about drawing the focus inwards. I notice that some people use terms like “dark” to describe this [album]—or any music I make. And I have to say that that’s never been an intention with any of my music. It’s not really about any sort of darkness, any horror sort of thing. It’s much more about some kind of internalizing function. But that’s purely down to people’s interpretation of it—and their interpretation is completely valid. Tape labels, and the crossover between techno and more abstract electronic music, seems kind of trendy at the moment. I wondered if that was something you were aware of when putting the release together? Yeah, I had that awareness. And maybe that’s why I felt it was a better time to release this collection. I thought it would get more people listening to it than if I released it ten years ago. I think it’s good that people are opening up to this music that’s kind of lurked around for so long. It’s interesting to compare the album with the Boys, School Showers & Swimming Pools 7”. Do you think there’s a common thread that connects the two? Absolutely. The Boys, School Showers & Swimming Pools 7” release brings together my very early tape collage stuff, and I guess the NNA Tapes release picks up where that left off and brings us up to date. I hadn’t actually thought of that but that’s quite a convenient way of looking at it! It would be good to talk a bit about those early days. How were you first exposed to experimental electronic music? I think it was through certain odd records in my dad’s collection. I remember being fascinated by some releases by the BBC Radiophonic Workshop. And my dad bought the single “Oh Superman” by Laurie Anderson, which was this bizarre novelty number one single in England. Those sorts of things I was really drawn to. There was also an art teacher at my school who used to play interesting music during the dinner time in the art room—things like Fripp & Eno—and there was a pottery teacher who played things like Captain Beefheart, and quite freeform jazz. That really exposed me to whole different worlds of music that were beyond what I heard in the top 40 on the radio. So, I made these early tape recordings. And an older friend at school said, “It sounds like Coil,” who I’d never heard of, so I went out and bought some Coil. And that introduced me to the whole world of Coil, Throbbing Gristle, Psychic TV, Nurse With Wound, all these kinds of bands. When you were first getting into industrial music, did it it reflect your experience of the social or political environment you were living in at the time? Or was it more of a personal exploration? I think it was more personal. I find the industrial thing interesting and kind of problematic. I always get the feeling that other people interpret it in a completely different way than I do. I never had any interest in Ministry or Front 242 or anything like that—the rockier side of it. It was more the musical abstraction that I enjoyed. “Industrial culture” for me reflected the fringes of society, what is normally hidden from view. So from there you started to get into techno. I guess it was things like early Warp and Aphex Twin that really sparked my interest in techno. I’d heard acid house at the time but I hadn’t heard it in a club environment, so it sounded very primitive, and not really that interesting. This seems to be the case for a lot of people—that dance music sounds primitive until they hear it in context, and then it makes sense. Yeah I’d hear that about, I don’t know, dubstep or drum’n’bass—people would say, “I don’t get this at all,” and then they’d hear it in a club and go, “Ah, right, OK.” In a club the physical aspect of it really makes sense. And that’s the part that’s really interesting to me about techno music, the very physical part of it, the way that people are very directly involved because they’re moving and the sound’s hitting them. You and Regis reformed British Murder Boys recently. How’s that progressing? Do you have anything in the pipeline? We’re currently working towards a one-off live performance in Tokyo at the end of April. I’m really looking forward to that. We’re writing a lot of material for it, and getting involved with some quite theatrical elements. Very audio and visual and… olfactory, I believe is the term [laughs]. A whole host of senses will be involved in the experience. We’re going to film it as well—I don’t know whether that will be purely for our own amusement, we’ll see what comes out. It’s a very different approach for us—we’re going to play for an hour and a half or two hours, and it’s just us playing, nothing before or afterwards. More like a show rather than a DJ set? Exactly. From past experience Japan’s a great place to try out these kind of things, because they’re so detail-orientated that if we want something done in a particular way then we can be very precise. But yeah, I’m really looking forward to that, it’s getting very exciting. How about your solo work? Do you have plans for another Surgeon LP? Not at the moment. The primary focus, really, is this BMB live thing. And that’s created a lot of new material, so I’m sure we’re going to be working in the studio as well. And there are plans to do more work with Jamie [Blawan] as Trade, because that was a lot of fun, and came together very naturally. I really enjoy playing those tracks in my sets and they really come into their own in that environment. The music that I’ve made for the last 15 years or so has had this idea of working in a club, but also functioning for listening at home. Whereas the Trade tracks are very much about a late night club experience. They’re really not home listening tracks at all. You often say that you’re not really interested in the surface of music so much as what’s going on beyond or beneath that. Can you imagine a point when electronic dance music isn’t really a sufficient vessel for what you want to convey? Could you see yourself leaving techno behind?